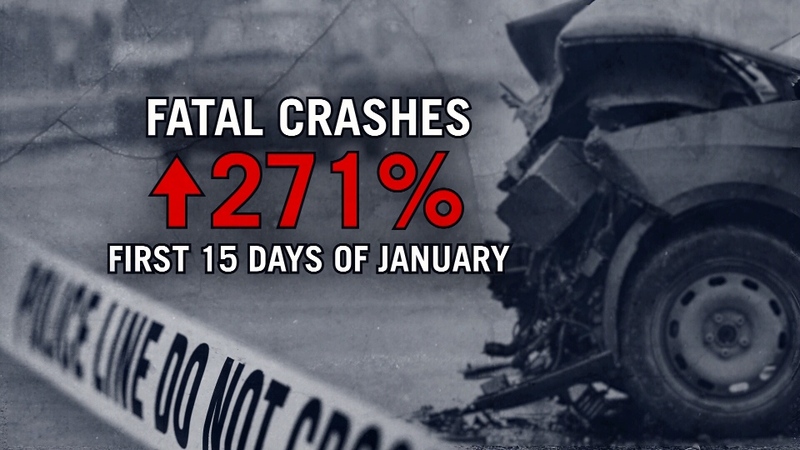 It’s been a deadly start to the New Year on Ontario roads. Ontario Provincial Police report a 271-percent increase in fatalities on the province’s highways. “These collisions are all 100-percent preventable,” says OPP Sgt. Kerry Schmidt. Sgt. Schmidt says between January 1st and 15th, 26 people died on Ontario highways; compare that to 7 deaths over the same period in 2017. Out of the 26 fatalities, several had nothing to do with the harsh winter weather. Sgt. Schmidt says impaired driving, drugs and alcohol, aggressive driving and no seatbelts, were all factors. “It’s completely unacceptable,” adds Sgt. Schmidt. Sgt. Schmidt posted a poignant video on Twitter, in hopes of capturing the attention of drivers. 26 people have died on provincial roads so far this year. An increase of 271% from 2017. Ontario Provincial Police report a 271-percent increase in fatalities on the province’s highways. Sgt. Schmidt says between January 1st and 15th, 26 people died on Ontario highways; compare that to 7 deaths over the same period in 2017.